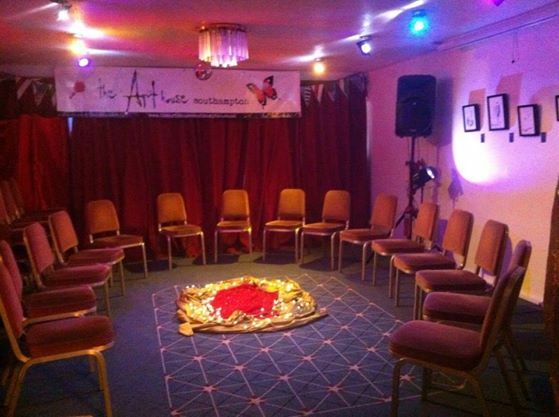 The Art House is a unique, informal and welcoming venue ideal for groups, workshops, meetings, film screenings, music events and fundraisers. We are proud to be a space with high standards of ethics – from where we source our food to the furniture! Our upstairs area is available for public events which match up with our aims, and occasionally for private events by likeminded organisations. We do not hire out the space for private parties, as we wish to keep it open for art and community! There are a few ways to use the space, and we are always willing to come to an arrangement that works for all. You can hire the space outright, or work in partnership with us, or volunteer to run an event or group on our behalf. 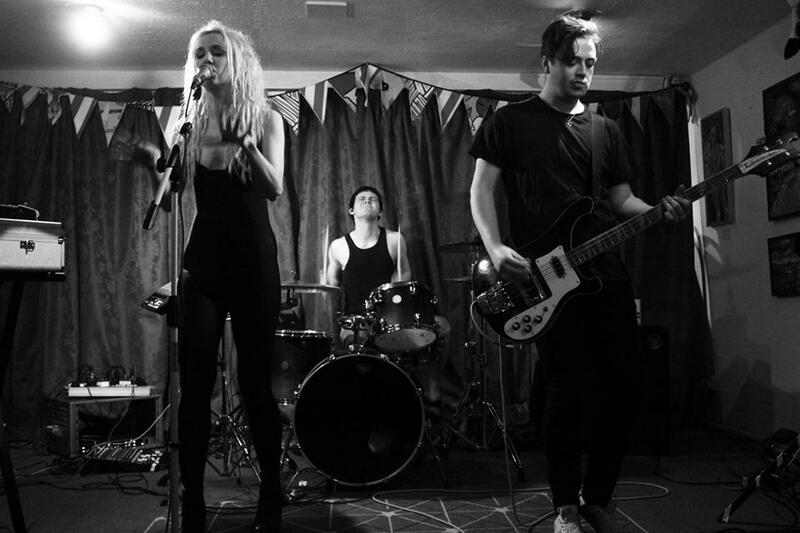 If you are a performer who would like to have a gig here, please fill in the form here. If you would like to run an event here, please fill out this enquiry form to tell us a little more about it. The room measures 5 x 7m and has a PA, projector, screen, chairs and tables. For quieter activities, just the front part (gallery) can be hired. For any activity which requires more quiet, or is noisy, you will need to hire the whole upstairs area. Our gallery space provides an ideal setting for activities in circle! These rates are for commercial hire or funded projects. There is also an option to work in partnership with us for a lower rate – please get in touch if you want to chat about this! 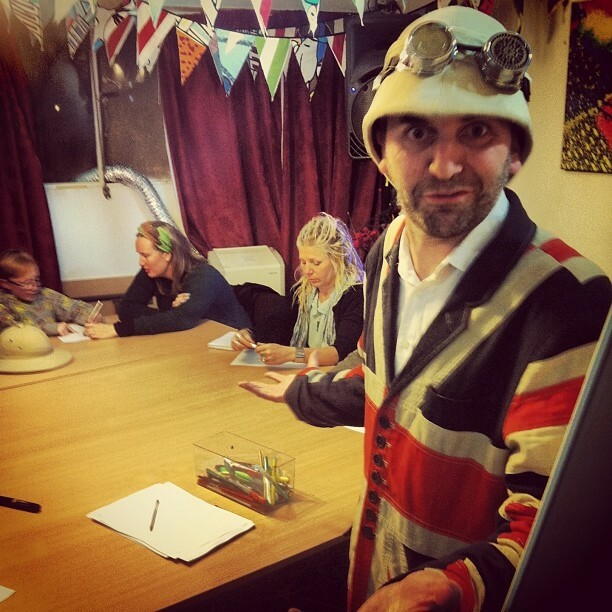 All fees go directly into the running of our nonprofit venue, providing a unique, community run meeting space for Southampton & the wider area, supporting creativity and promoting sustainable communities through art. Whilst we can book tables for parties who are having a meal, we cannot guarantee a table or space for other non-hirers, especially at busy times. We expect all groups who are publicising their meeting here to let us know and make the appropriate arrangements with us. We do not hire space for party political events (political is fine! ), or to religious groups who are using the activity to recruit new followers or limiting participation to members of their religious group. All use of The Art House is subject to meeting our aims and objectives and is entirely at the Director’s discretion. 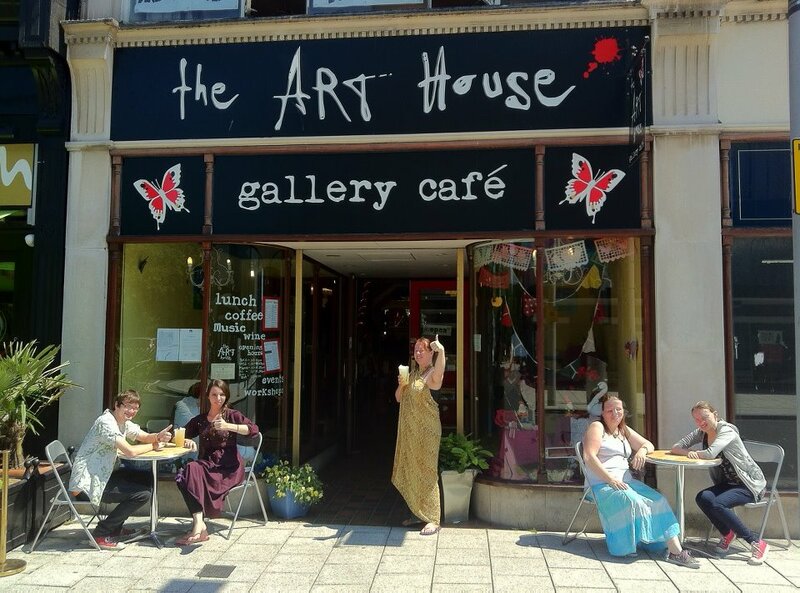 The Art House is a lively, informal community space which is most suited to creative activity and more relaxed events. We are entirely staffed by volunteers and furnished with reclaimed furniture and equipment. We offer a very different kind of meeting space to a more well-equipped, formal space such as a hotel conferencing room or Church hall. It is generally not possible for hirers participants to bring their own food (with the exception of food for babies or those with severe allergies, or strict religious requirements) to events – we can cater for your budget, please contact us for more details. Suitable for groups of up to 17, depending on the activity, this is a quirky space on the first floor, ideal for workshops or meetings. Facilities include tables, chairs and comfy sofas! This space has what we affectionately refer to as ‘mood lighting’ so may not be suitable for some activities which require bright lights. The Grove is available in the evenings from 6pm onwards only. Suitable for groups of up to 35, depending on the activity, this space is great for classes and workshops, as well as larger meetings. The Gallery is available during our opening hours and in the evenings. Noisy activities are not possible when the café is open though! There is a flipchart which you can use when you hire the Gallery, however you must bring your own paper & pens. APA, projector & screen which are hireable at an additional rate. Please note that if your activity is likely to ‘spill out’ from the gallery area, or requires quiet (or is noisy! ), you will need to hire the whole 1st Floor. All of the above spaces can be hired for meetings, workshops, talks, film showings, photography and film shoots. We do not usually hire the space for private parties unless to a partner organisation. None of the spaces are 100% private and we do not feel that the Art House is suitable in general for groups which are dealing with confidential issues, or where people attending may be feeling particularly vulnerable. We are a family friendly space, but not suitable for children-only activities. We are closed on Mondays and a full day hire rate would apply to use the space. The ground floor is wheelchair accessible with a level entrance and wide front door. floor is accessible via a wide staircase with a banister. the space, but do get in touch if your event is sooner.